The Campaign to ImmuNYze all New Yorkers is an initiative of the County Health Officials of New York (NYSACHO) bringing together patients, parents, providers and campaign partners to heighten awareness of vaccines and the need to immunize throughout life – from infancy through senior years. Our Immunization Information Materials Are Available to You! The Campaign strives to provide up-to-date, accessible information about childhood immunizations and adult immunizations with the goal of increasing vaccination rates throughout New York State. The Campaign’s positive immunization messages are available to the public, vaccine providers in NY and our partners. You can download our immunization information and reproduce any of the campaign materials posted on our website for use in your practice and as educational information for patients. NYSACHO has reached out to New York State vaccine provider organizations that share our goals. Some of our partners have co-branded our campaign materials, which are also available on our site. Please check for co-branded materials if you are a member of one of the clinical provider organizations listed below. 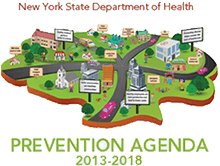 In addition to local health departments, the New York State Department of Health (NYSDOH) is our primary partner and supporter of the campaign. 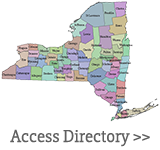 The NYSDOH website offers current information for vaccine providers in NY, vaccine safety, and immunization regulations related to health care workers, school requirements, and parent and patient information. Find vaccine providers in NY. Our clinical partners also provide excellent resources for up-to-date and accurate immunization information targeted to specific providers and populations. Other partners may work with children and/or adults in other settings, such as colleges, schools and childcare centers, or through outreach and support to specific vulnerable, high-risk populations of children and/or adults. Visit our Partners Page to learn more about other organizations working to ImmuNYze All New Yorkers. These easy-to-read vaccine schedules for children, preteens, teens and adults are ideal for sharing with patients and parents. These detailed vaccine schedules for children teens and adults are designed for use by vaccine providers. Flu Prevention – Vaccinate Your Patients – Vaccinate Yourself! Healthcare workers are critical partners in flu prevention, by immunizing their patients AND themselves and their staff. High flu vaccination rates among healthcare workers are a critical public health measure in reducing transmission of influenza to our most vulnerable populations. To learn more about healthcare worker immunization requirements in New York State, take the quiz below. Your local health department can help make you an Immunization Champion. We encourage vaccine providers to reach out to local health departments with questions regarding vaccines, vaccine storage and handling, immunization schedules and related issues. Your local health department can also assist you in identifying your practice’s immunization rates. Local health departments can also connect you to opportunities to partner with others to promote immunizations in your community. 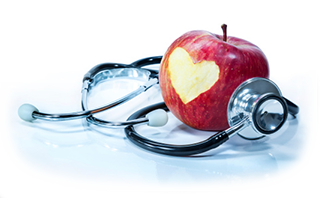 To contact your local health department, visit our directory map and click on the county where your practice is located. If you are a medical expert who is willing to be an Immunization Champion in interviews with the news media, let us know. Contact info@nysacho.org and tell us about your credentials and experience. The Pink Book provides vaccine providers, such as physicians, nurses, nurse practitioners, physician assistants, pharmacists, and others, with the most comprehensive information on vaccine-preventable diseases, immunization schedules, and vaccine administration. Adult vaccination rates are extremely low and most adults are not aware that they need vaccines. The CDC has developed standards for adult vaccination practices that all healthcare professionals and vaccine providers should follow to ensure that their adult patients are fully immunized. The New York State Department of Health has resources and tools available to assist health care providers with making sure their patients are receiving the immunizations they need to protect themselves and their community. Are your employees current on their vaccines? Healthcare personnel not only administer vaccines, they need them too. Visit the New York State Department of Health to learn more about immunization requirements and recommendations for healthcare personnel.